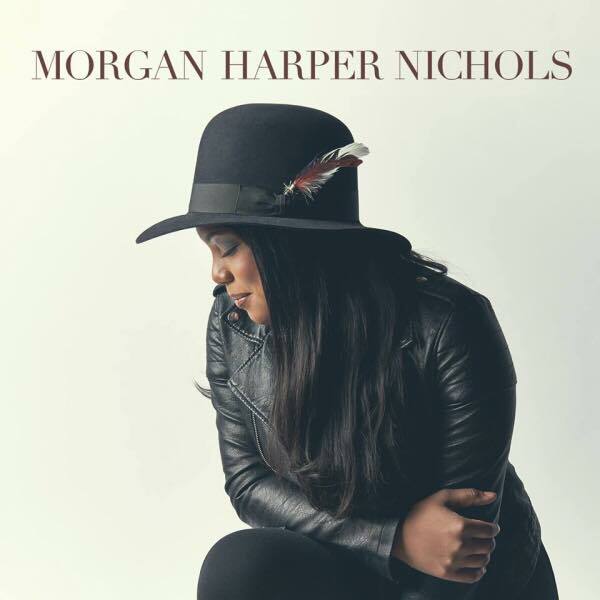 “…Just when you think Morgan’s songwriting gift overshadows her gifting as a singer and musician, she spins your head. She is THE triple threat! A deep well of soul stirring lyrics as well as vocal and musical chops that will stop you in your tracks…” According to Gotee Records founder TobyMac, the debut self-titled album release from newest Gotee Records artist Morgan Harper Nichols (sister of singer/songwriter Jamie Grace), is an album to savour and to check out. Morgan is definitely no stranger to the music industry, having written with Jamie Grace on many of her songs prior to being signed. Personally, this 9 track album (+ 2 iTunes bonus tracks), produced by Paul Mabury, has wowed me and captured my attention from start to finish (and it also doesn’t hurt to have Mac Powell from Third Day and All Sons & Daughters singing guest vocals on a couple of the songs), and Morgan’s diversity in genres, from country, CCM, and pop, to acoustic, reggae, worship and gospel, is certain to pique interest from even the most uninterested of listeners. Signed to a label that comprises of Jamie Grace, Finding Favour, Capital Kings and Ryan Stevenson, Morgan Harper Nichols deserves plenty of listens, as we immerse ourselves in one of the most talented singers and songwriters of this generation. From hit single “Storyteller” (Which has it’s own website! ), to the reflective album closer “A Prayer For Grace”; ballads, pop rock, funk, folk, country and reggae are all evident in the creative debut record. Morgan should be very proud of herself- the debut album is one that will hopefully stand out in 2015 as one of the most musically daring and courageous albums of the year! Opening the tracklist is the jovial, bouncy, acoustic guitar driven “Storyteller”, brilliantly sung in harmony with Jamie Grace. Sung from an autobiographical viewpoint, Morgan fervently and emotionally relays across mesmerising keys, guitar and finger clicks, that God has been faithful and has been right with us all of our days. Outlining that He has been with us at ‘…the mountain where I climbed, the Valley where I fell, You were there all along, that’s the story I’ll tell, you brought the pieces together, made me this storyteller, now I know it is well…’; we are given a glimpse of the sure promises of God, as Morgan proclaims that she will share her testimony to the world, and show Jesus to those who do not know Him. Though there is an absence of drums on the opening track, that doesn’t stop this song from being compelling. The rest of the 8 melodies are moving and inspiring also. The final 2 songs (besides the album opener) with guest vocalists are “I Can’t Save Myself” featuring the distinct southern gospel vocal of Mac Powell, and the album closer “A Prayer For Grace” with all Sons And Daughters. Thematically similar to Michael W. Smith’s song “Save Me From Myself”, “I Can’t Save Myself” is co-written with Michael Farren, and is as vulnerable a song as any on the album, with Morgan prayerfully admitting across light acoustic guitar that ‘…I can’t save myself, I can’t save myself…’, but then gloriously recounting and declaring that ‘…coming to my rescue is what You do so well, and when my strength has failed, the story I will tell is how Your love refused to leave me on my own when I couldn’t save myself…’. A testimony like melody, where Morgan passionately outlines that even when we fall and intentionally make mistakes, that God faithfully rescues and saves us from our troubles and circumstances; the addition of Mac’s vocals gives this melody extra depth. The heartfelt acoustic guitar and strings led “A Prayer For Grace”, featuring All Sons and Daughters, ends the album with hopeful and contemplative lyrics, as Morgan thoughtfully expresses her desire to be remembered at the end of her life by her loved ones as a daughter of God, and for her Christ like qualities, and the fruits of the Spirit, rather than material possessions. What a fantastic notion to remember and sing about! All Sons And Daughters’ presence in this soft acoustic track enhances the meaning of the song even more as well! Country is the genre that Morgan seems to dabble in, as “Morning” contains big booming electric guitar strums as well as an infectious and catchy beat. As Morgan passionately celebrates the fact that we are alive every day, and that ‘…I’m waking up, It’s finally morning, while I’ve been asleep You’ve been restoring all of my joy, my dreams now I can see the sunrise, praise God for the morning…’, we can unequivocally proclaim that God renews us all the time, and that every day we wake up and see creation outside is a glimpse of His perfect majesty and power. Well done Morgan for this emphatic and explosive potential radio single! life…’. Directed to those unassuming heroes not in the spotlight, we are encouraged to keep fighting the good fight, and let God continue to lead us in what He wants us to do, as we change the world for His glory, even without the world’s recognition. Well done Morgan for this multi-layered heartfelt track. nowhere left to fall but on You…’, as we joyfully give thanks to God amongst hand claps and vibrant guitars, the album doesn’t end there! On iTunes, there are two more impacting and powerful melodies. “Right Now” is a CCM pop melody driven by vibrant acoustic and electric guitar as Morgan exclaims that she is being held by God at this very moment. As He accomplishes His plan and work in us even when it seems that God is far away, this moving and inspiring melody teaches us to trust our Father as His ways are higher than our own. And the album closer “Tough” is a soft, contemplative radio friendly ballad, as Morgan provides us hope that God strengthens us through character building situations. Though we understand that we can’t make it through life on our own, Morgan relays that everything we endure is bound to shape us at a person, and that fact alone should make us surrender more to God and His will. With Jamie Grace’s albums One Song At A Time and Ready To Fly garnering many accolades and praise, I suppose it’s only natural to think and assume that Morgan Harper Nichols’ self titled debut album will gain much more praise and applause because of the hype and attention…and the fact that Morgan is also signed to Gotee Records. And you’d be right in thinking that. Morgan’s debut album is one of the most enjoyable albums I have heard in 2015, and I pray that this young woman of God will continue to bless others in this album and the many more in the future. With Morgan wearing her heart and love for Jesus firmly on her sleeve, Morgan Harper Nichols is a must to buy for those who are fans of TobyMac, Britt Nicole, Jamie Grace, Group 1 Crew and Mandisa; and will undoubtedly be a highlight in this upcoming year, with Morgan’s infusion of many genres while keeping the focus on the God who created all musical genres! Well done Morgan for a spectacular debut!